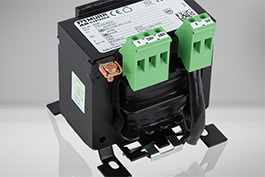 Are you looking for signal lights, electronic load circuit monitoring or transformers? Then you are in the right place at Automation24! We deliver quality products from Murrelektronik quickly and at the best prices! Murrelektronik GmbH is located in Oppenweiler, Germany and has sales companies in 40 countries. It was founded by Franz Hafner in the year 1975 and is internationally one of the leading companies in automation technology. The production sites of the company are in Oppenweiler and Stolberg (Germany), Stod (Czech Republic) and Shanghai (China). The motto is "stay connected" because the closeness to the customers and the own employees is important to Murrelektronik. To meet the customers' demands and wishes and to comply with the market requirements, harmonic cooperation between the employees and the superiors is indispensable. Murrelektronik is convinced to be able to continuously develop new innovative system solutions on the basis of this philosophy. 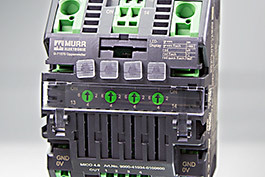 Murrelektronik offers powerful products in the fields of control cabinet and control systems, power supply, connection technology and IO systems. All these products have one thing in common: They are quickly installed and mounted and therefore they save time and money. Before the products leave the factory, they are thoroughly inspected according to strict criteria and tested under demanding conditions in the company-owned test centre. This process ensures a high quality standard. Furthermore the selection of the raw materials during the production is paid much attention to. Harmful materials are not used at all. Products from Murrelektronik are mainly used in the automotive industry, in the food industry, in machine and plant construction and also in logistics. Automation24 carries compact status lights from the field control and signalling devices with the latest LED technology and powerful products from the field control cabinet supply from the manufacturer Murrelektronik. 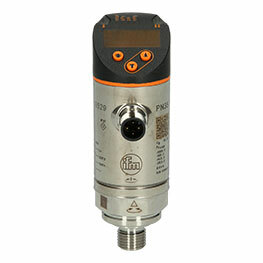 See for yourself, intelligent and space-saving MICO electronic load cirucuit breakers from the field protection equipment and reduce the risk of fires. Order the products from Murrelektronik suitable for your application today and experience the performance and quality in perfection. And all this at low prices.